Taking advantage of every opportunity to poke President Trump in the eye, Democrats on the Senate’s Homeland Security and Governmental Affairs Committee published a report claiming that the actual cost of the border wall will be fifteen times more expensive than President Trump’s current estimate. They admit they pulled these numbers from a place where the sun don’t shine, but do not want that to get in the way of clobbering President Trump with the budget club. The Democrats did not mention the cost of illegal immigration, which is an ongoing cost, not a one-time cost. The estimated annual cost of illegal immigration in 2010 was $113 billion. Just for 2010. Obviously, that annual cost is much higher today. And this includes only the hard costs. It does not take into account the horrific costs of losing loved ones at the hands of illegal immigrants, many having been deported multiple times. 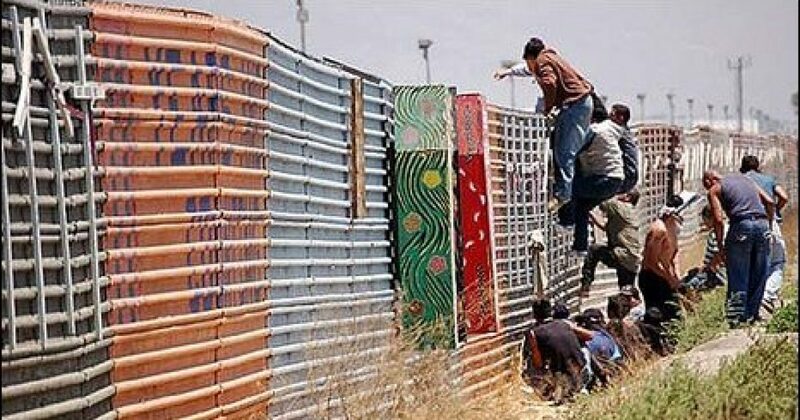 If the wall costs ten times its estimated cost, it is still a bargain compared to continuing to permit the uncontrolled infiltration of our southern border by unvetted illegal aliens. Nor did the Democrats consider the fact that Mexico will ultimately pay for the cost of the wall. I know, I know, the talking heads look at you like you have a third eye in the middle of your forehead when you mention that, only because they haven’t done the fifteen minutes of research necessary to understand that indeed we can force Mexico to pay for the wall. The talking heads believe you are referring to Mexico paying for the wall VOLUNTARILY. Of course they aren’t going to do that. But, that certainly doesn’t mean they aren’t going to pay for the wall. They will pay for it alright. From taxing money transfers to Mexico to cutting foreign aid to imposing an import tariff on everything from tortillas to tequila, Mexico will pay for the wall eventually. The important thing is we get started on its construction. We will pay for it and collect from Mexico on our own schedule. President Trump’s wall across the U.S.-Mexico border could reach nearly $70 billion in total costs, congressional Democrats predicted Tuesday in a new report that builds on worst-case scenarios. With Homeland Security officials refusing to detail costs themselves, Democrats on the Senate’s Homeland Security and Governmental Affairs Committee stepped in to fill the gap, guessing that the government would spend nearly $40 million a mile — or about 15 times as expensive as the current per-mile estimates from the government’s top accountant. In their report Democrats also said the current thinking at Customs and Border Protection, the border security agency, is that some 1,827 miles of the 1,950-mile dividing line between the U.S. and Mexico is suitable for building a wall. “At $36.6 million per mile, a 1,827 mile border wall could cost more than $66.9 billion. That amounts to a total cost to every American man, woman, and child of over $200 for border wall construction,” the Democrats said in their report. The costs could rise if the U.S. ends up involved in protracted battles with landowners over the siting of the wall, the committee report said. Democrats calculated the wall’s costs by using the Trump administration’s 2017 and 2018 estimates for prototypes and other early construction. Fencing built over the last few years averaged $4.8 million per mile, according to the Government Accountability Office. But Mr. Trump’s budget outlines project costs of $16 million per mile for wall construction in 2017, and nearly $37 million per mile in 2018. Mr. Trump and Homeland Security Secretary John F. Kelly have brushed aside efforts to pin down the wall’s costs, saying they’re still trying to decide what a wall will look like, what it’ll be made out of and how tall it will be — and each of those factors will help determine costs.